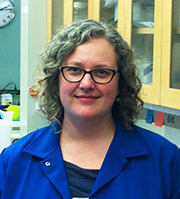 The Santa Cruz Cancer Benefit Group (SCCBG), a local charity supporting cancer research and patient care, has awarded grants of $12,500 each to four researchers at UC Santa Cruz: Angela Brooks, assistant professor of biomolecular engineering; Melissa Jurica, professor of molecular, cell, and developmental biology; Carrie Partch, assistant professor of chemistry and biochemistry; and Seth Rubin, professor of chemistry and biochemistry. In the past, pilot projects funded by these small grants from SCCBG have enabled UCSC faculty to obtain preliminary results that led to much larger grants from the National Institutes of Health and other funding agencies. Brooks will use the SCCBG grant to support her research on genetic changes in lung cancer that lead to altered gene processing. The variable editing of gene sequences (technically known as alternative mRNA splicing) enables one gene to produce a variety of different protein molecules. But aberrant splicing has been associated with cancer in recent studies. By investigating splicing changes in lung cancer, Brooks hopes to identify potential genetic targets for future therapies. Jurica's lab also explores the role of mRNA splicing in cancer, focusing on the molecular machine that carries out the splicing, called the spliceosome. She will use SCCBG funding to study a key component of the spliceosome and how it interacts with inhibitor compounds. 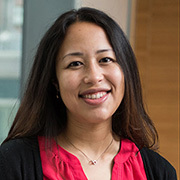 Her work is laying the groundwork for understanding how cancer mutations affect the functioning of the spliceosome and how splicing inhibitor compounds might be used in cancer therapy. 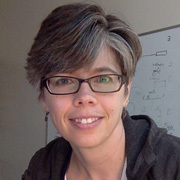 Partch studies the biological clock that drives the daily ("circadian") rhythms of cells throughout the body, and her research is shedding light on the connection between clock disruption and cancer. The SCCBG grant will enable Partch to expand her research on a protein called PASD1 that inhibits clock activity and is expressed in many types of cancer. Her lab is developing techniques to identify circadian-based cancer therapeutics. Rubin's lab has initiated a new research project to develop cancer therapies that inhibit proteins called cell-cycle transcription factors by specifically targeting them for degradation. Transcription factors that activate genes for proliferation and other hallmarks of tumor cells are notoriously challenging to target with drugs. 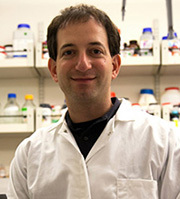 Rubin's strategy involves recruiting the cell's protein degradation machinery to target the transcription factors E2F and FoxM1. The SCCBG has been supporting cancer research at UC Santa Cruz since 2005. The group holds several annual events to raise funds for the programs it supports. More information is available on the SCCBG web site.